New Favorite Side Dish for Family Gatherings this Thanksgiving! We at AJ’s Edible Arts want to send warm wishes to all of our customers for a Happy Thanksgiving. Want to try a new “family favorite side dish” for this Thanksgiving? TOAST almonds in an 8-inch nonstick skillet with butter and sugar over medium-low heat until golden and caramelized (7 to 10 minutes). Spread onto waxed paper to cool. MIX honey, vinegar & mustard in small bowl and set aside. COOK onions and garlic in a 12-inch skillet with 3 tablespoons butter until softened (3 to 5 minutes). 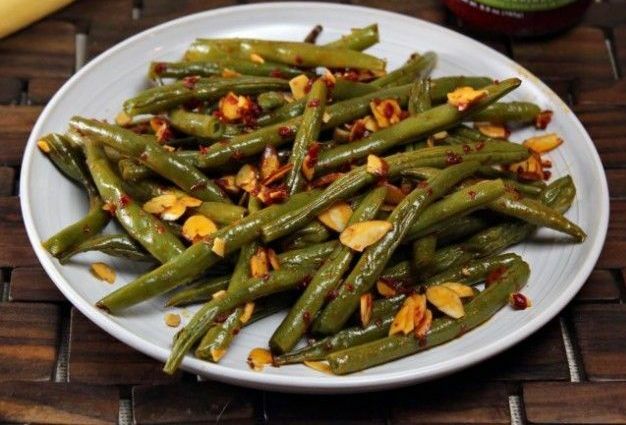 Add green beans, salt and pepper; cook until crispy tender (8 to 10 minutes). Stir in honey, vinegar, mustard mixture; continue cooking until sauce thickens and beans are well coated (2 to 3 minutes). PLACE beans into serving bowl; top with caramelized almonds. 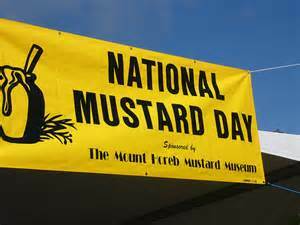 Saturday, August 1st – National Mustard Day celebrates the “King of the Condiments”. Mustard is a must have for hot dogs, sausages, and a wide range of sandwiches. Its an important ingredient in many recipes, too. When it comes to condiments, Mustard is among the most popular. When it comes to longevity, mustard is unrivaled. It has literally been in use to spice up meals for thousands of years. 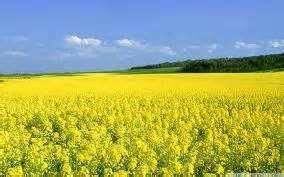 To retain it’s status, mustard has not stood still. Rather, it has diversified. It’s not just yellow anymore. There’s a growing selection, including Honey Mustard, Bold and Spicy, Sharp and Creamy, Dijon Mustard, and of course AJ’s Walla Walla Sweet Onion Mustard. Take a trip to your refrigerator, and you will probably find two or three different types of mustard. A trip to the grocery store, will reveal even more selections. Have a happy National Mustard Day. 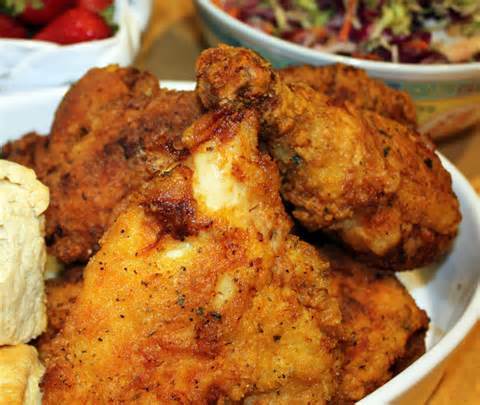 and what goes better at a picnic then Fried Chicken? Sweet Onion Mustard as part of the coating. How can it get better than this, you ask? Well, use YOUR favorite flavor of our mustard and enjoy the mouth watering goodness. Chicken, skinned, washed and drained. dip chicken pieces in mustard, coat again with flour and fry about 30 minutes (until done) in oil. Tis the Season for Salad! 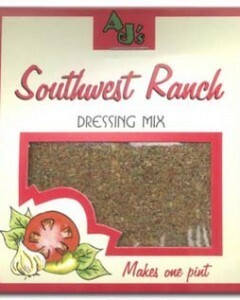 Try an “AJ’s” twist on a summer favorite, Southwestern Chicken Salad using our Southwest Ranch Dressing Mix. Whisk until well blended. Refrigerate until ready to use. For thinner mix, add a small amount of buttermilk or regular milk after chilling. 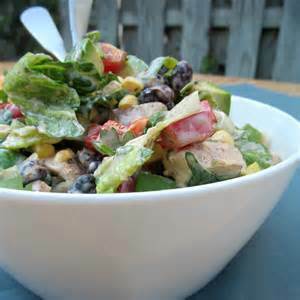 In large serving bowl combine lettuce, olives, bell pepper, beans, corn, tomato and chicken. Pour dressing over salad and toss gently to coat. If desired, top with avocado. 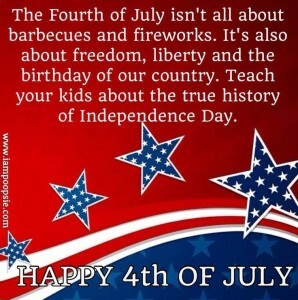 God Bless and have a Safe & Happy 4th of July from all of us at AJ’s Edible Arts. 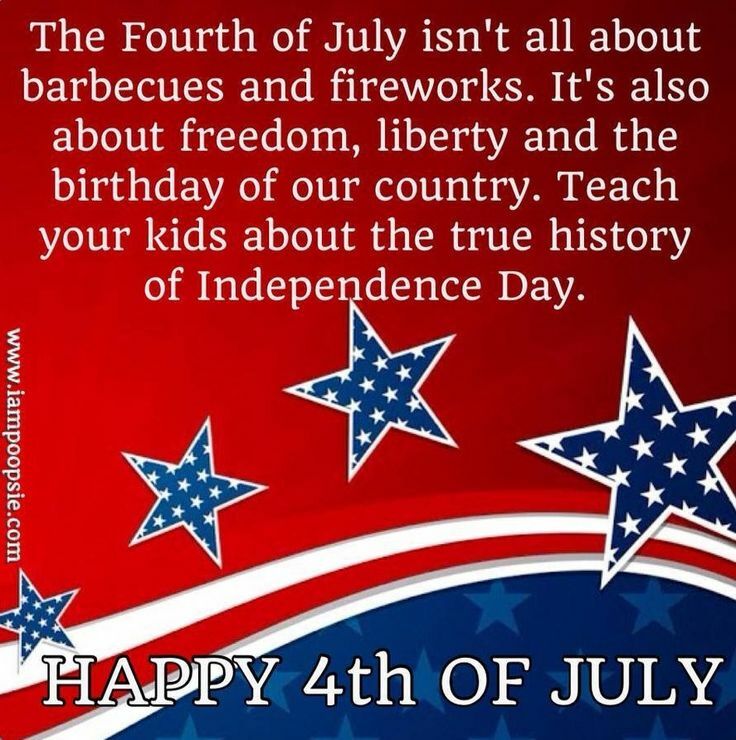 we’re wishing you peace and happiness. 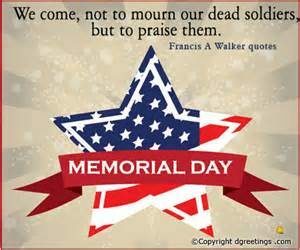 Happy Memorial Day from All Of Us at AJ’s Edible Arts. As you may be aware…the Walla Walla Sweet Onion is Washington State’s official vegetable. It was voted and approved unanimously by the Washington State Onion Commission that AJ’s Edible Arts, Inc. carry the official onion seal of The Washington State Onion Commission, which you will find on every jar of our onion mustard. Proudly, we are now listed by MSN – Travel in “America’s 50 Best Souvenirs by State” on page 47 representing Washington State. Check us out at: http://www.msn.com/en-us/travel/article/americas-50-best-souvenirs-by-state/ss-AAaEy6b#image=47. 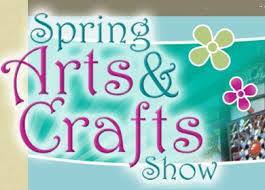 and so is the Custer’s 16th Annual Spring Arts & Crafts Show at the TRAC in Pasco. The show features over 150 of the finest Artists and Crafters from across the U.S. filling the TRAC with unique hand crafted items! All artists represent their own work! Join us in this holiday shopping tradition! We at AJ’s Edible Arts hope to see you there! 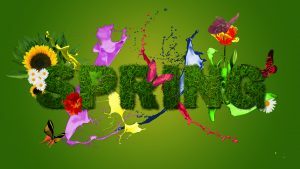 Custer’s 38th Annual Spring Arts & Crafts Show features 300 professional artists and crafters from across the United States covering 78,000 square feet of exhibit space, making this the largest show of it’s kind in the Inland Northwest! Specialty and gourmet foods including fudge, truffles, jams, vinegars, AJ’s Walla Walla Sweet Onion mustards, smoked salmon, and dry soup mixes. Many of these items will be available to sample! Adults $7.00 (Cash Only) Good All Weekend! How about Asian Grilled Shrimp Kabobs made with AJ’s Walla Walla Sweet Onion Mustard Original flavor paired with a little fresh Asparagus! -In a bowl, combine first 6 ingredients; reserve 1/3 cup. Brush kabobs with remaining sauce. 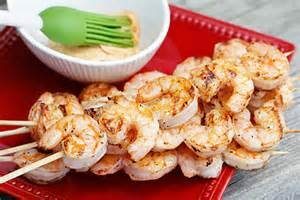 -Grill kabobs until shrimp turn pink. Variations: Use orange marmalade or mango chutney instead of apricot preserves. Use chicken instead of shrimp kabobs and grill until chicken is thoroughly cooked.